In a recent update from the American College of Cardiology and American Heart Association (2017), there are new guidelines that define the blood pressure categories. The FSBPT provided an update of this information in the 4th Quarter of 2017 for questions to be written to the latest guidelines and terminology that will be reflected in the exams starting with the July 2018 NPTAE and NPTE exams. When you are studying for the PT board exam, know that the blood pressure chart, table or list in the study guides from TherapyEd (O’Sullivan) and Scorebuilders (Giles) are now OUTDATED even in the current 2018 version. The blood pressure categorization that they refer to is from 2007; however, the new guidelines are now from 2017. What this means is that you’ll want to know the latest update about the blood pressure guidelines in order to answer the questions correctly going forward when studying for the Cardiovascular System of the FSBPT NPTE blueprint. What are some of the differences in the new blood pressure guideline? Here’s what you may find from older study guides and resources before 2018. With the new guidelines, you’ll find the “Elevated” where both Systolic and Diastolic are needed to be classified under the new category. Other changes are made in BOLD to help distinguish the values in the Systolic and Diastolic values for Hypertension Stage 1, 2 and Hypertensive Crisis. What parts of the NPTE would be affected? This updated blood pressure chart would affect the different content sections of the NPTE. 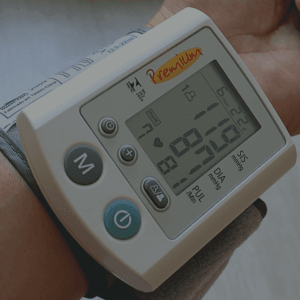 The following is an analysis breakdown from Therapy Exam Prep’s point of view where potential blood pressure questions could be asked on the PT exam based on the blueprint format. As you can see, it’s good to become familiar with the updated blood pressure guidelines for the NPTE. This update is in addition to the previous general changes for the current 2018-2022 NPTE blueprint format. To read more about the specific blood pressure guidelines from the American College of Cardiology and American Heart Association specific blood pressure guidelines. **Update: Scorebuilders has released the second edition of 2018 with the updated Blood Pressure Guidelines. Get free exam prep tips and valuable information delivered straight to your email inbox.